MIAMI, FL – Truly good soul music is the kind of music that can make grown men cry. 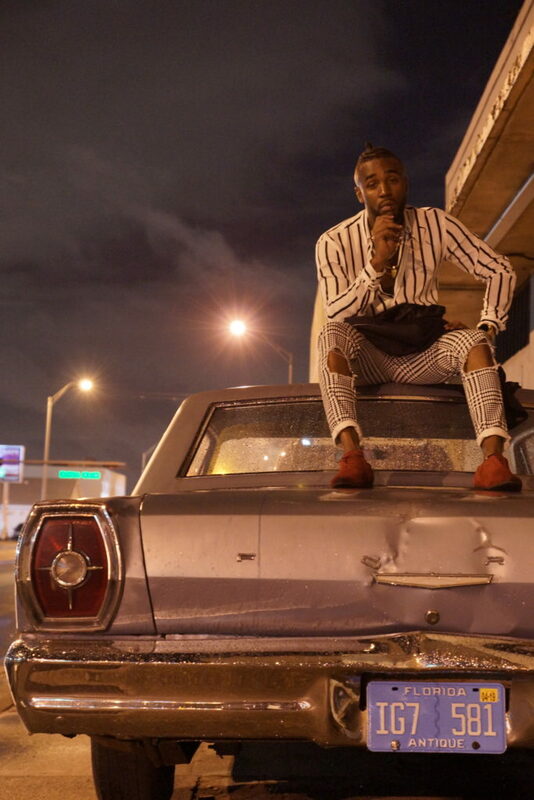 Darrius “Dtwahn” Watson is a young artist who embodies that kind of soul.Honed from Liberty City, Miami, Dtwahn is the quintessential soul-reviving vocalist and talent. His smooth sound is reminiscent of 90s-era R&B and hip-hop, and this fashionable crooner is bringing a whole new sound and style to the industry with his new single “Shooter.” It’s a song that he says revives soul music in ways that fans haven’t seen for decades, creating a fusion of hood and harmony into one love song that identifies with the “ride or die baby”’ mentality. “My music has energy and it’s vibrant,” he said. ‘I hope when people come to my shows they can have a sonic experience – a melodic meditation or experience. I want people to know me for being that R&B sensation, that soul reviver … someone who has music that will prick the hearts and make them love again. I’m the love boy who is singing about true love and relationships. I’m not afraid to hold your hand. Chivalry is not dead. I really believe in honoring your woman and your family and that those different kinds of things matter most! And ultimately, I think we need to get back to that in soul music. That’s the kind of music I grew up with and it’s the kind of music that made me want to be a musician. When I saw entertainers who could sing and the effect they would have on an audience – like Michael Jackson who’s known for making men cry and women faint – it was powerful. That’s a powerful gift, in my opinion. ”Dtwahn is an educator by career and a burgeoning community activist with a commitment to mentoring inner-city youth and community development. He is always staying actively engaged and informed of initiatives that can help the community, with the hopes of always being able to pay it forward. He understands the value of the “village” that he said helped raise him to become the upstanding man he represents today. In essence, he is an urban gentleman who connects with the products of his environment through creating songs that relate to the hood and the harmony of surviving the good, the bad and the ugly. “What makes me unique is the musical influences that surround me and the melting pot that is Miami,” Dtwahn said. “There’s a lot of diversity here. You hear the Latin flavor here. You hear the Caribbean style and the Creole Kompa style from Haiti. All these mixes and flavors were part of my upbringing and you hear them in my music because they have influenced me. That sets me apart in and of itself. You’ll hear R&B flavor and swag in the vocals, but there’s a reggae vibe and tone to it as well. Even with my debut single ‘One and Only,’ you get that island feel.